Salesforce, the global CRM leader, empowers companies to connect with their customers in a whole new way. The company works as a team to deliver success for customers while giving back to communities. Salesforce demonstrates its commitment to being better for business, better for people, and better for the world in many ways, from how it welcomes people into the company to building green-friendly workspaces to giving back to the communities it serves. 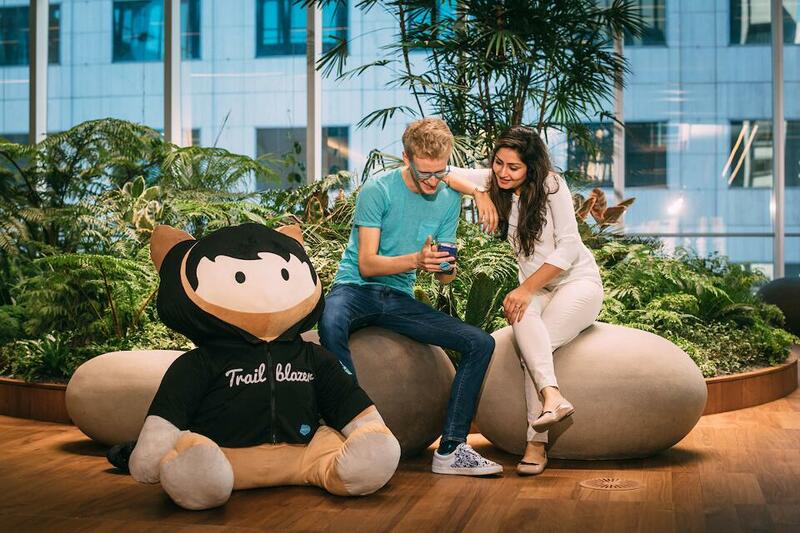 New team members at Salesforce are given a warm welcome through various practices, including the New Hire Success Chatter Group. The online platform was created to help new hires get up to speed fast. They can post questions and receive answers from experts within the company. If a question goes unanswered for more than two hours, a helpdesk ticket is generated prompting a quick follow-up. The company has a goal of running on 100% renewable energy in its quest to provide a healthy workspace for its people that limits its impact on the environment. It installed filtered water taps in all of its office taps, which provide cold, hot, and carbonated water. The company also provides all employees with their own bottle or cup, eliminating its monthly standing order of 5,000 bottles of still water. Employees have provided additional input on green initiatives, like its program that recycles batteries and printer cartridges. Salesforce is dedicated to having a positive impact on the world through volunteer efforts like CoderDojo, a global movement of free, volunteer-led, community-based programing clubs for young people ages 7-17. Salesforce’s UK team recently launched a CoderDojo in Kenya and it also recently held the first-ever dojo for the visually impaired, making sure that every child has the opportunity to learn how to code. 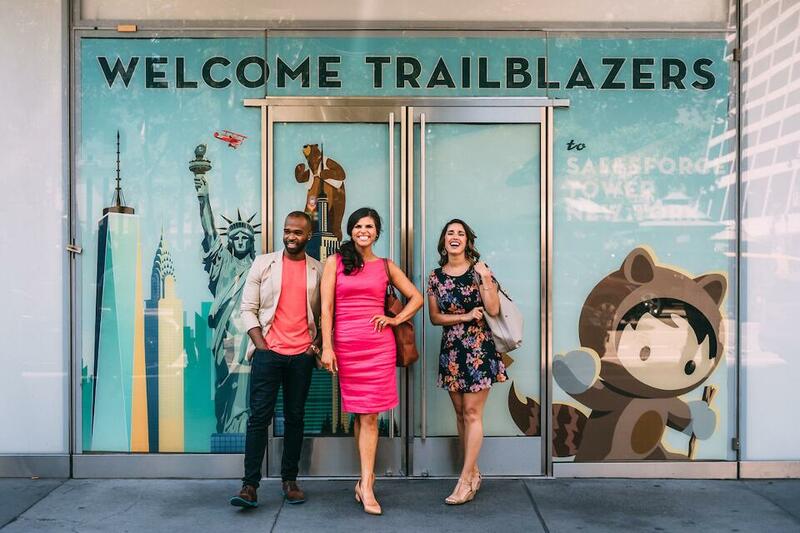 Find out about open job opportunities at Salesforce on its career page. "They really go above and beyond to make sure that each employee feels included and needed, and to make sure that we all have what we need to be successful. And the fact that they promote giving back to the community and encourage time away from work to do volunteer work is something I've never heard of anywhere else." "There is a sense of inspiration that comes from the leadership taking strong positions on social issues and making volunteerism such a key part of our culture. This sustains us during the difficult times." "Very committed to changing the communities around us with real hours invested, real money, and real dedication. I'd never seen or worked for an organization that truly put its substantial money where its mouth is for the betterment of others, until I came here and witnessed it firsthand."